A Holiday in a Mall (Malliday) - That's DLF Mall of India For You! The DLF Mall of India seems to have taken the city by storm ever since it opened! This new venture by DLF is perhaps the largest mall in India, raising the bar of shopping, food and entertainment all under one roof, to an all time high. 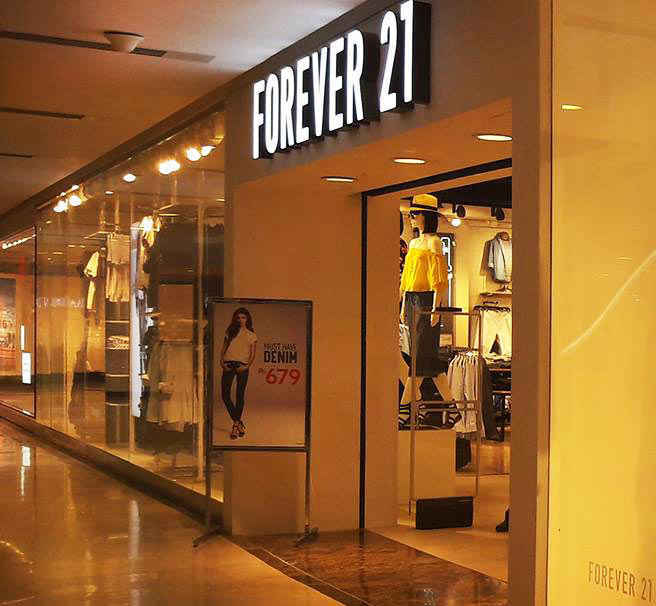 Labels like Ritu Kumar and Anita Dongre have found a house in DLF Mall of India, as well as most high street brands like Charles and Keith, Forever 21, H&M and Zara (to open shortly) have also set up shop in this giant of a mall. 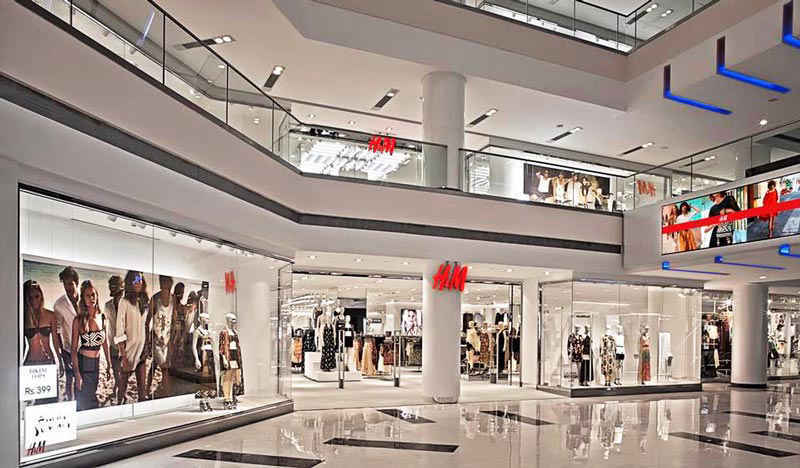 In fact, the DLF Mall of India recently opened its 4000th H&M, one of the biggest H&M stores in the world, was opened here shortly to great response and celebration. The Mall of India is also home to India’s first Snow Park, an indoor ski destination where one can ski, snowboard and play in the snow in the middle of the sweltering hot summers of Delhi. 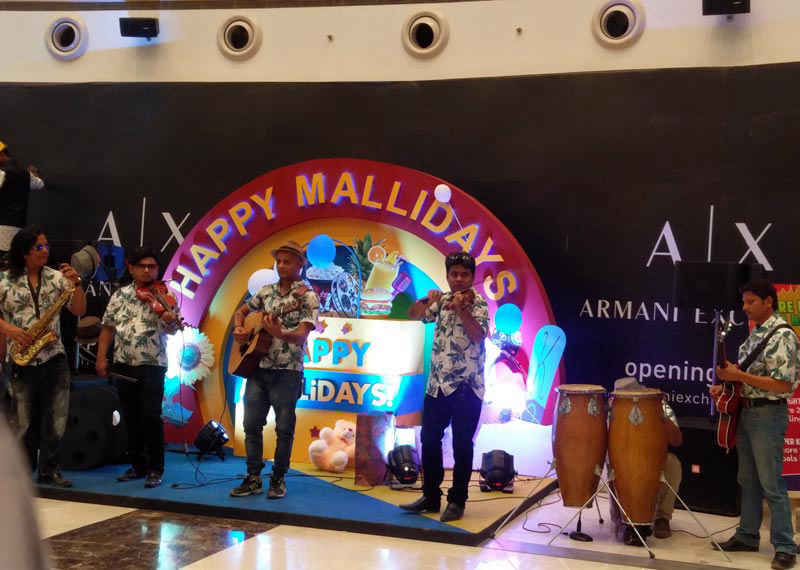 Any sort of entertainment that you can imagine for yourself is available at this mall, as they have evolved the concept of a ‘Malliday’, a holiday in a mall. In one such of its events recently held at the DLF Mall of India, it created a carnival like atmosphere to give you a vibe of being on a holiday outside the confines of the city- there were tattoo artists, mime artists, unicyclists, funkily-dressed dancers, men with sticks as legs and a live band to transport you to another place. The mime artists interacted with kids as people scrambled to take selfies with them, the men on poles bended down and danced to general amusement and it really was a riot of colors and laughter. There was also a band (including someone who played the banjo!) to create general merriment and frolic that you will not be able to find in any other part of the city, and so, the Mall of India is a perfect getaway for children, family and friends alike as there is something for everyone, whether it be playing with the fun artists, shopping in high street brands, eating at Mall of India’s many food outlets, or skiing in the indoor Snow Park. Next, you can look forward to the High Street Fashion Show taking place on the 14th May and a Kids Carnival happening on the 17th of May. Head on over!